Convert your YETI Tundra 45 or similar style premium cooler into the perfect seat, and show your love for the Auburn Tigers, with the Wise Outdoors 45 Qt. Auburn University logo Cooler Cushion. The cushion adds comfort to your tailgate party, BBQ, boating adventure, or anywhere you take your cooler! 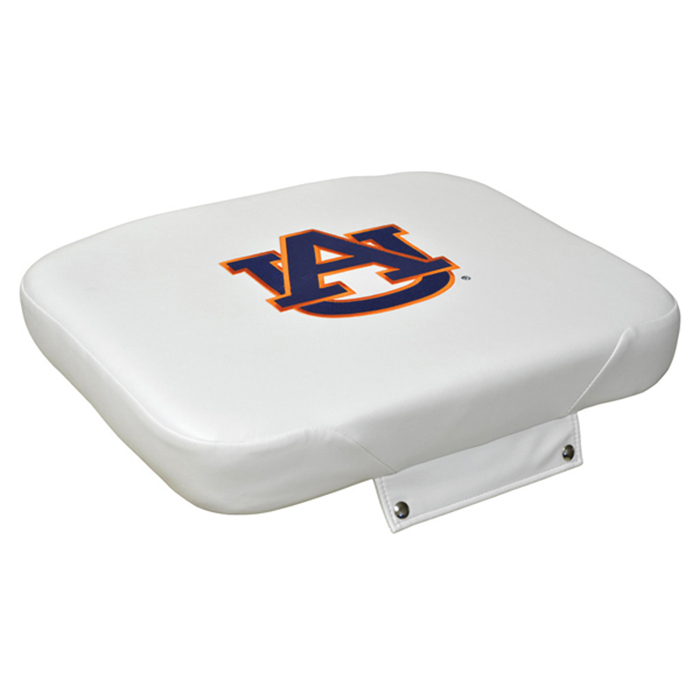 Made of marine grade white vinyl, the cushion features 3 inches of premium foam for high quality comfort, and the Auburn logo is embroidered onto the cushion with vivid, no-fade polyester thread. The cushion measures 25 inches long, 16 inches wide and 3 inches thick. It comes with self tapping snaps that screw directly into the lid of your cooler. After a quick and easy install, just snap the cushion into place on the cooler lid and you're ready to relax. It's a great way to add a personal touch to your swank cooler, and it makes a great gift for Auburn fans.